Year 6 Les portraits - Children have been learning how to describe facial features. 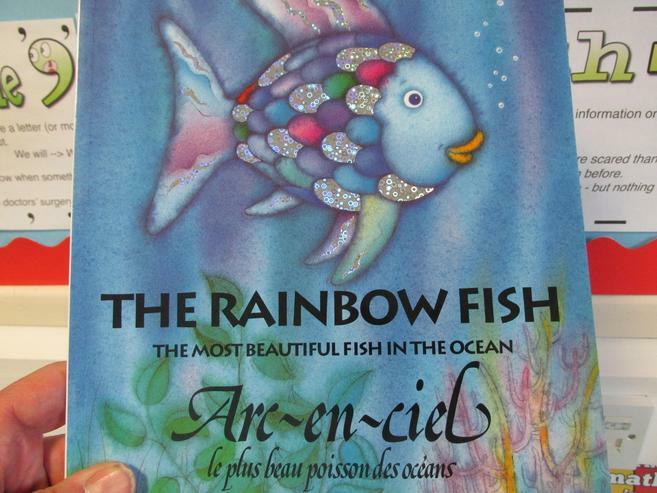 They can read descriptions and translate them into English. 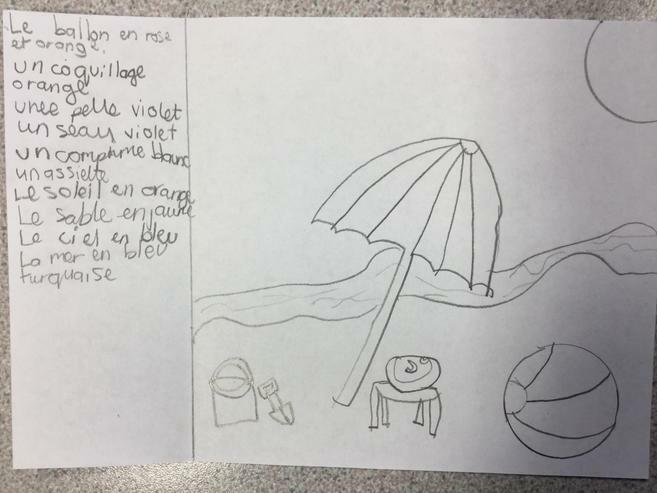 They can write their own descriptions and they have been using a french dictionary to find new french words. 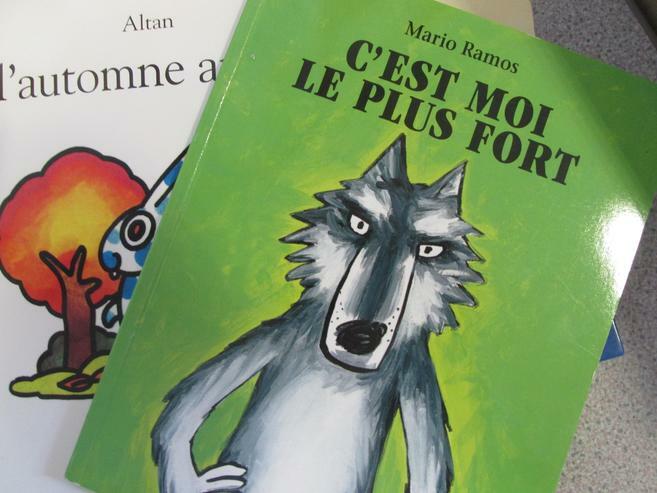 Find out more about the Languages national curriculum here. 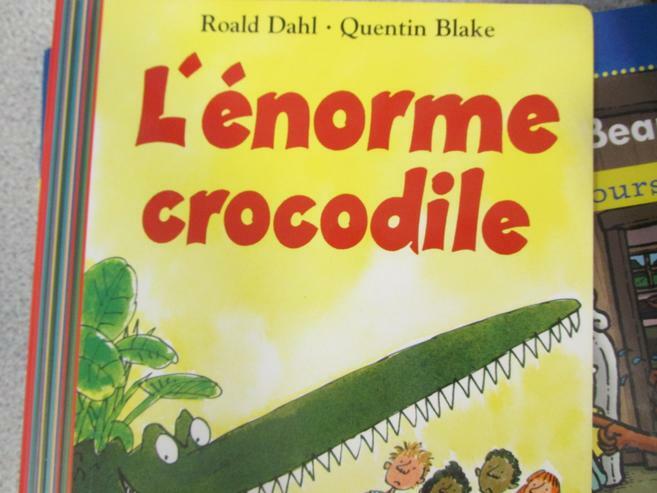 Year 3 have been introduced to the French language for the first time in school. 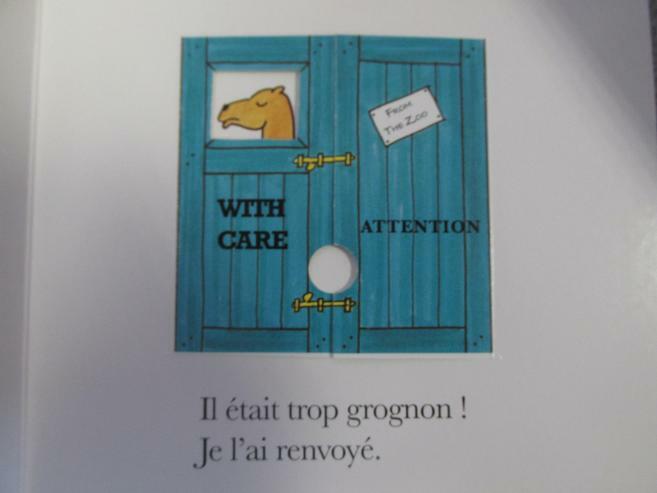 They have been learning to greet each other and have been practising it regularly during their French lessons, they have greeted their teachers in the morning using their phrases and have shared their knowledge with friends and family. 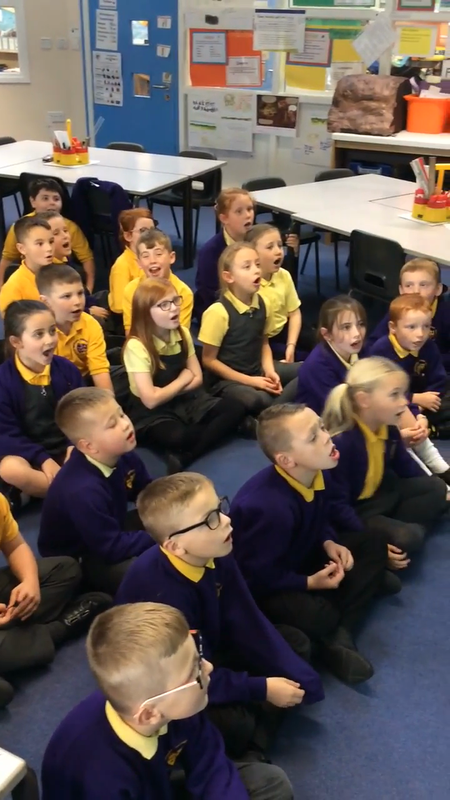 Year 3 have been busy listening to the song Liberee, delivree and learning it for their Christmas carol concert. They have all loved learning the song! 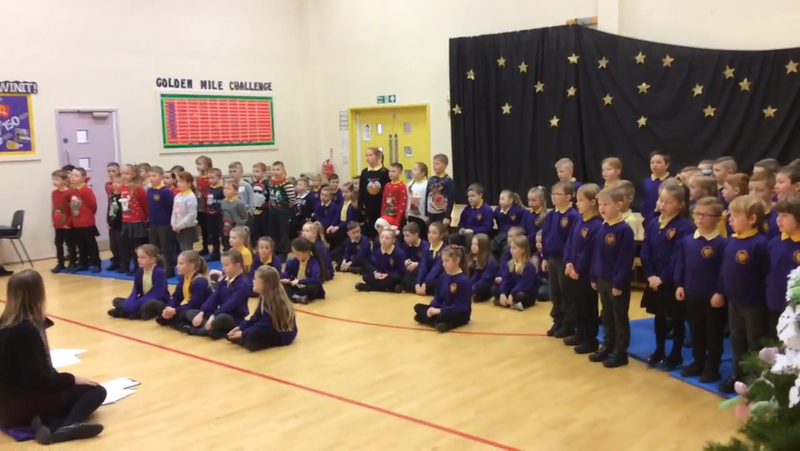 All of the children were so enthusiastic during rehearsals and performed it so well in the actual performance. Magnifique! 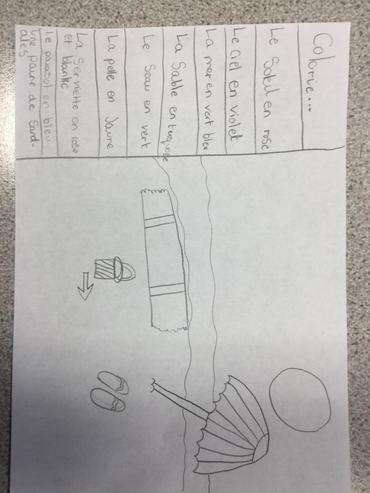 Some examples of the great work going on in Year 4. Also, listen to some of the speaking and listening that has been going on. Year 5 have been learning to write extended present tense sentences using their knowledge of number and new vocabulary to introduce their families. They have also shown progress in their conversation skills. We immersed ourselves in French culture during our International Day with lots of opportunities to communicate in French. 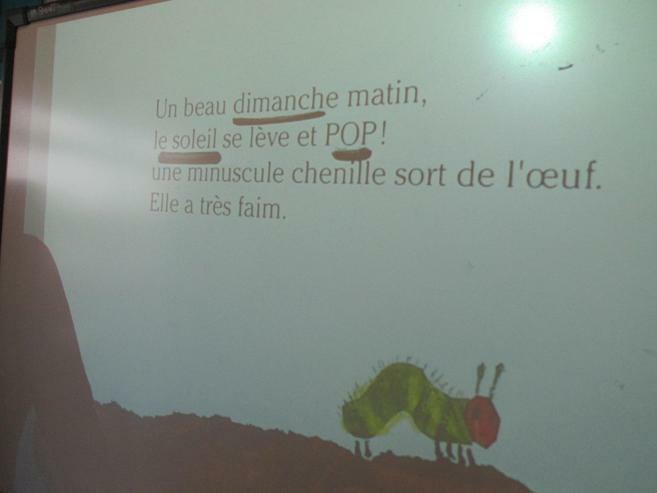 We started the day with some songs related to parts of the body in French then continued to experience the taste of French food as well as activities designed to assist us with our French vocabulary. 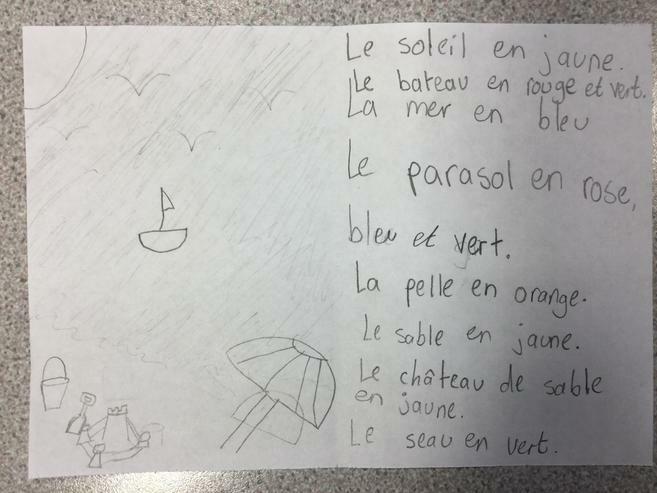 After our trip yesterday, Year 6 have been learning French vocabulary related to the beach. 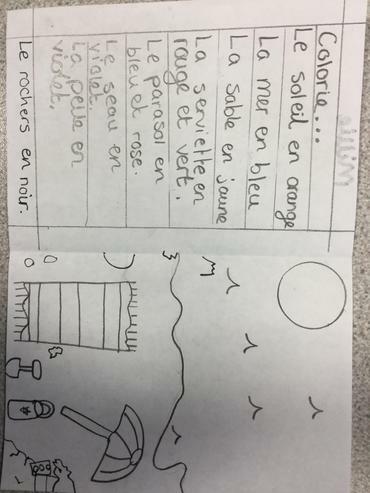 Can you translate these colouring instruction sheets the children have created? 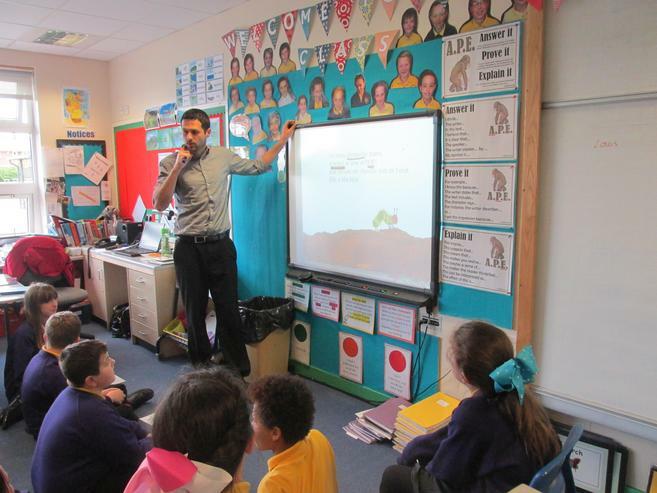 Mr McDonald worked with the Year 6 children to learn about zoo animals in French. 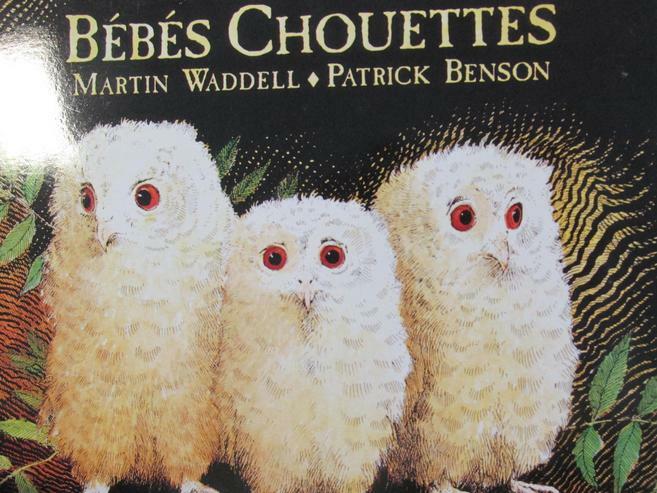 They read the story 'Cher Zoo' and then created their own zoo themed books written in French. Children created an 'Imaginary family tree' including celebrity and fictional characters as their parents and siblings. 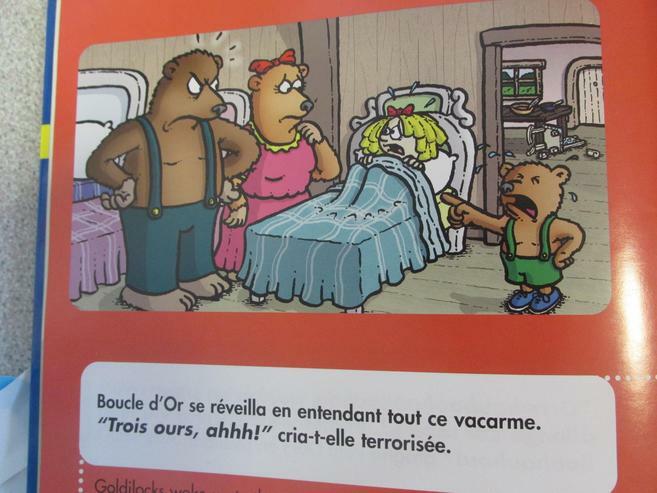 They wrote a paragraph in French describing their 'Imaginary family'. 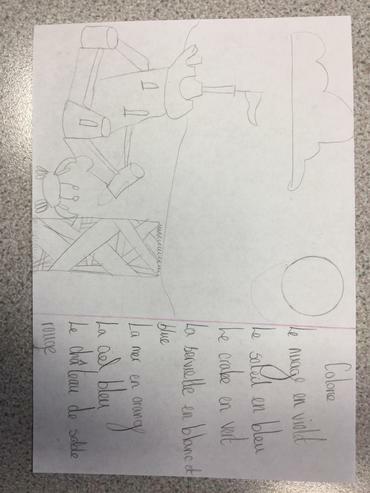 Year 6 children translated a paragraph of information written in French and used it to fill in information on a family tree. 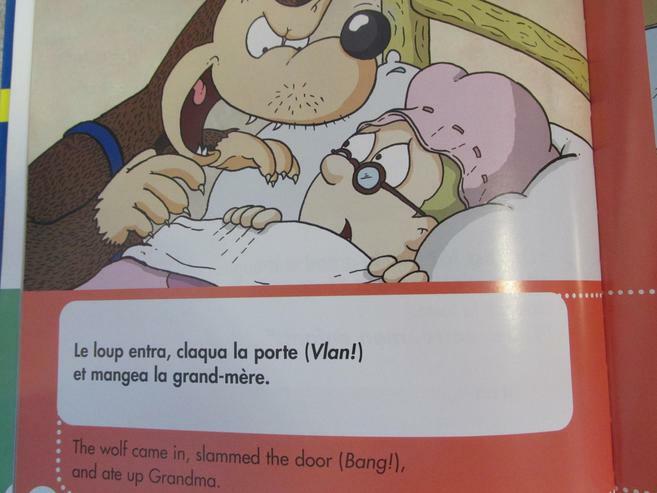 Year 6 have been learning how to read, write and say vocabulary in French about the topic 'Ma Famille.' They created a mind map of their family using correct French vocabulary. 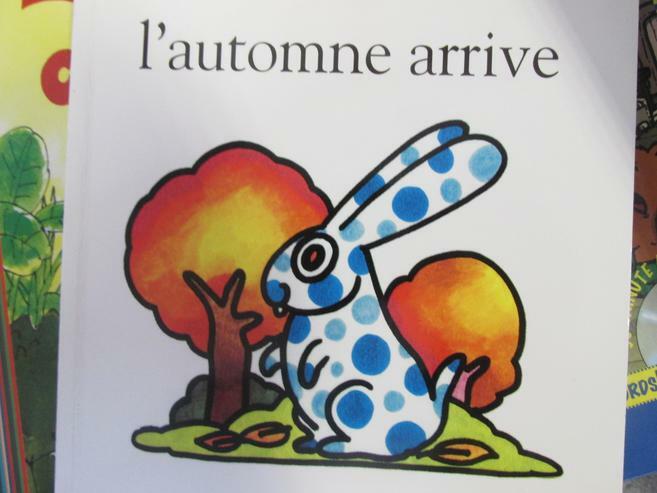 Mr MacDonald is a fluent French speaker having lived in France when he was younger. 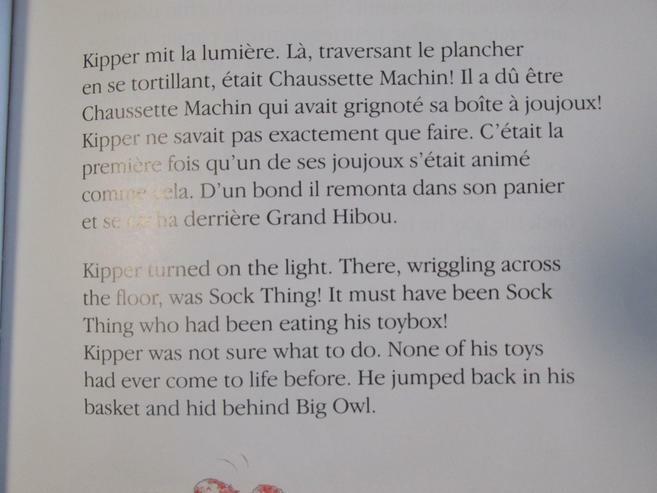 He likes to read familiar stories in French to his class. This is an excellent way of becoming more familiar with the language.